The much appreciated and adored Indian tradition marks its elegance, appreciation, and enrichment with a number of small yet attractive styles. 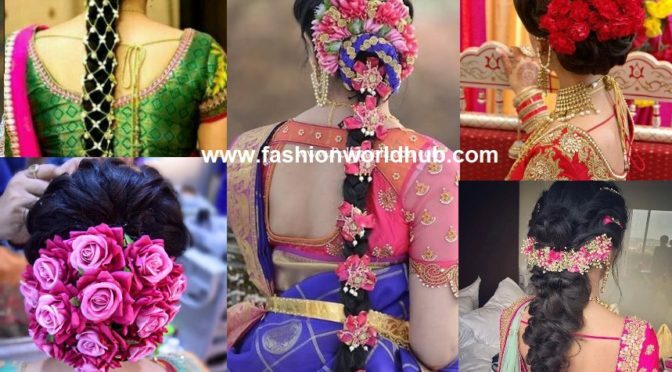 The tradition of wearing a gajra is quite common in the Indian customs since ages and people are still following the same in a dedicated and fashionable manner. With the passage of time, the styles and presentation of wearing gajras have increased and appealed manifold. 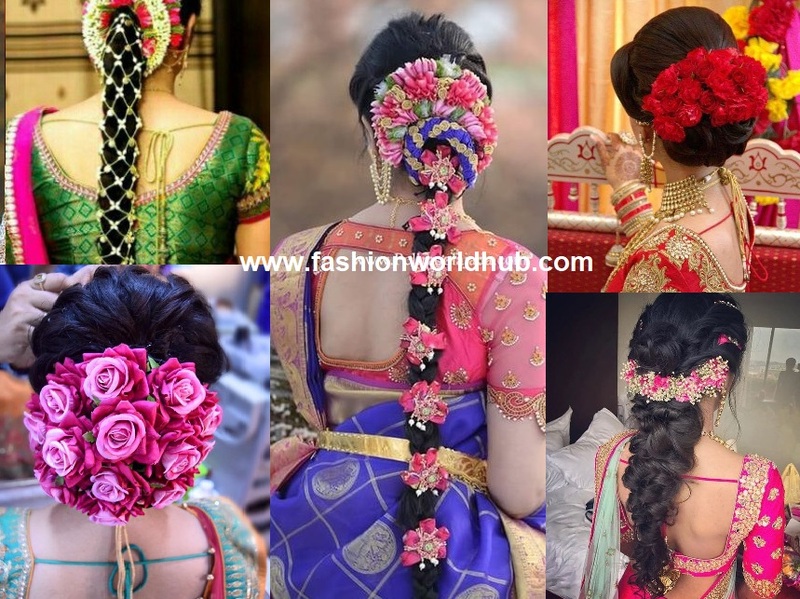 The decoration of hair with gajra has become an art these days thus transforming one’s personality into a tradition and an attractive one. 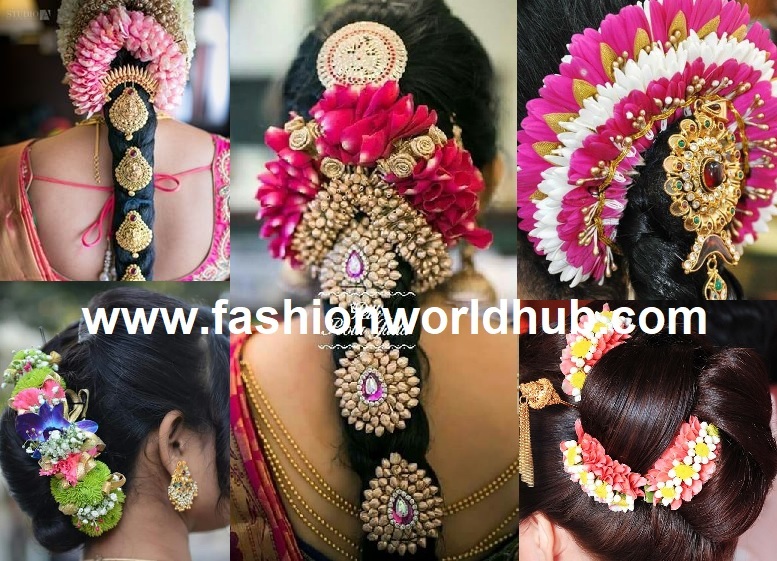 The application of gajras in various ways has a tremendous impact upon the look of the Indian beauties. 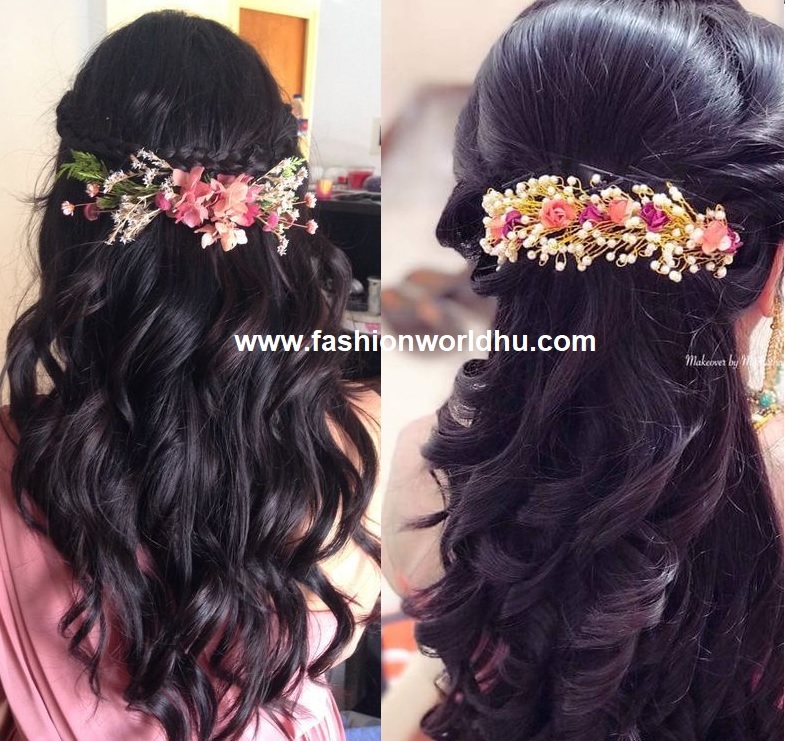 Gajras can be tied on the hair with or without a bun. When dressed in a typical traditional manner, gajra is usually put with a low or a high bun depending upon the individual choice. A lot of Indian film stars are spotted in traditional gajras with silks and other heavy saris. The complete look is thus enhanced with dignity and glory. A simple saree with jasmine gajra is the all-time favorites and a must do for the upcoming wedding season and all social gatherings. Gajras can also be worn in twisted, netted and webbed manner. Twisted ones are generally worn for a pious event with a long braid. The real all time classic South Indian style! The netted ones are available on order in all parts of India but South Indians generally get it ready in the market. This gives a sense of delicacy and uniqueness to the women gender in almost all occasions especially, the more formal ones. Gajra tied in a webbed manner on a low bun looks unique, smart and stylish with a rare combination of ethnicity and modernism. 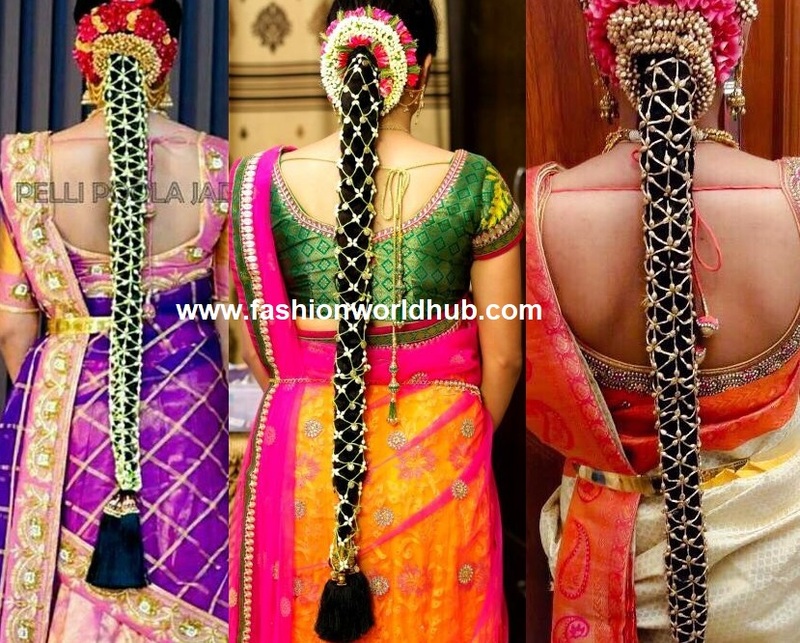 A traditionally tied gajra on braids all the favorites of all housewives casually as well as formally. When one ties the same, a woman looks so complete and eye-catching! Nowadays, beautiful motifs are available in the market, which can be used along with gajras in various ways. They are good accessories thus enhancing the look of these tiny jasmine flowers woven together. 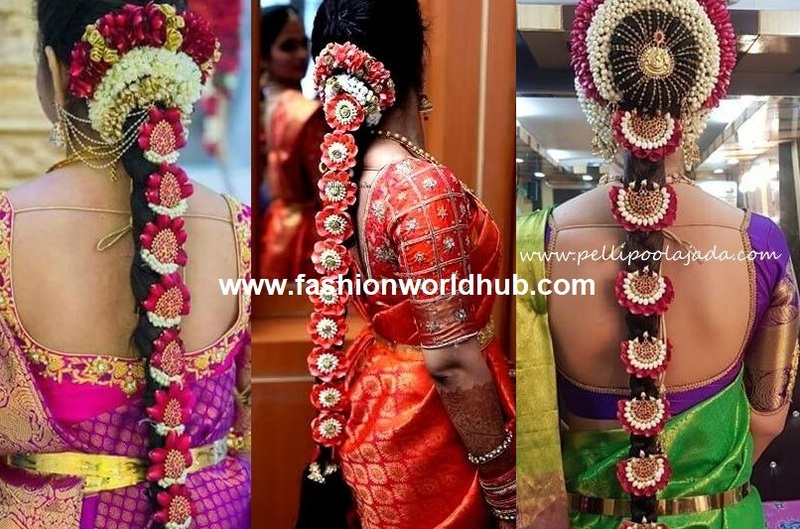 One of the trending gajara hair style that is rocking in the present fashion world is Saree matching poola jada. These days if we observe even in online we see that we are getting these flowers according to our saree matching flowers. 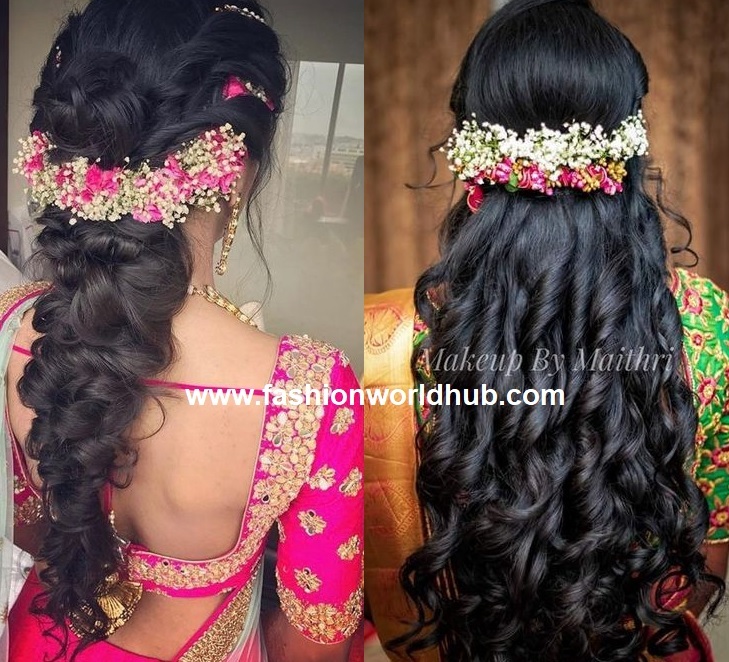 Your traditional outfit is incomplete with out the gajara hairstyle. 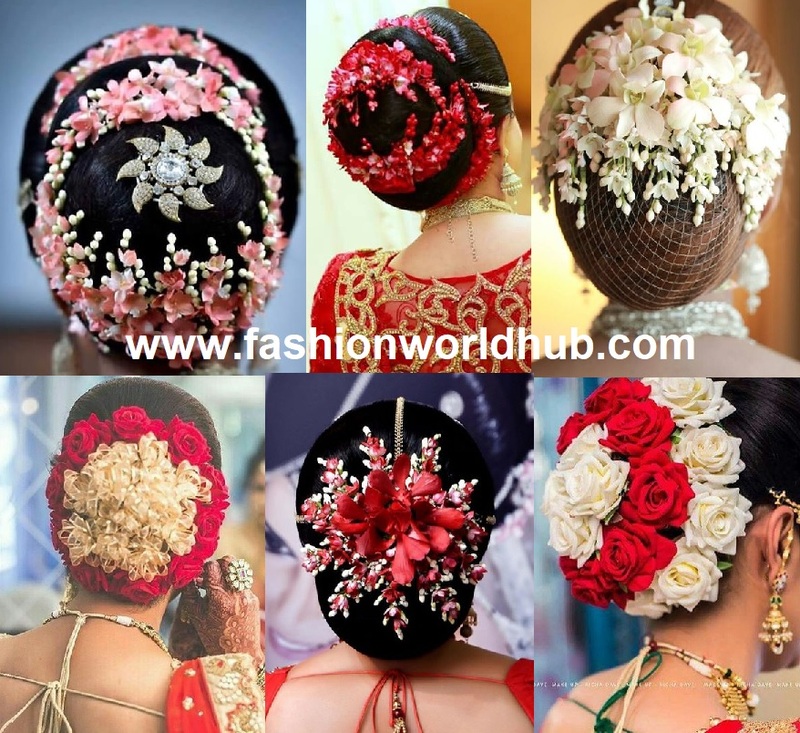 With the people resorting back to the conventional accessories and cooling the same with modernity, gajra are also used as hair clips on open, curled and tonged hair. They can be used with beautiful hair adornments as and where necessary. 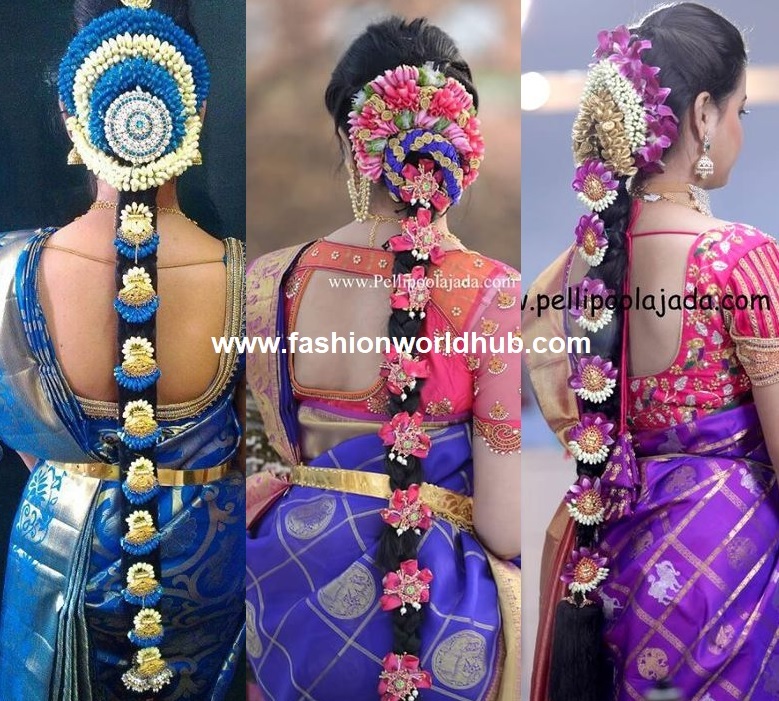 Overall, gajras are the traditional form of hair accessories used in India since centuries and will be a part of Indian dress-ups in the coming centuries too. The forms and applicability may change, but the elegance and attractiveness tend to increase with time! 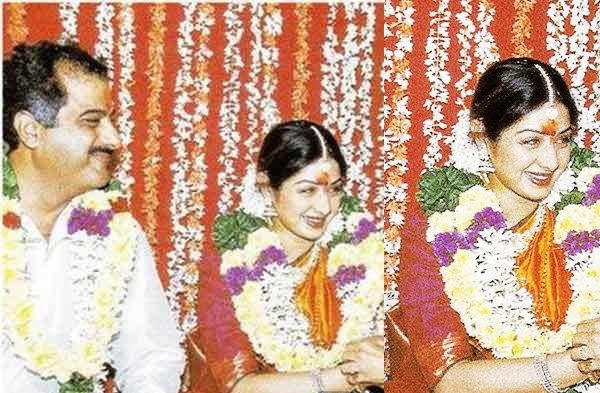 Rare photos of Sridevi and family! 10 Rare Pictures Of Amala And Nagarjuna!